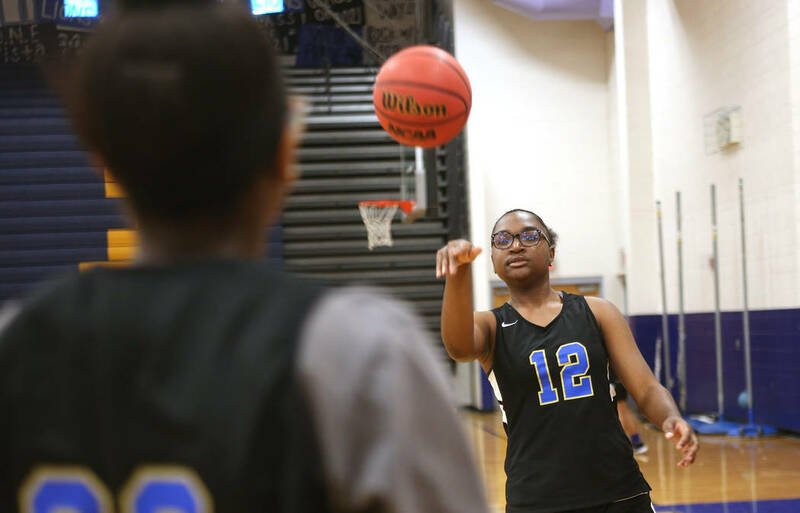 Sierra Vista girls basketball coach Gregory Harton has lofty expectations for senior Shania Harper. None loftier, though, than those she has for herself. Harper fell just shy of a double-double average last season, logging 9.6 points and 11.3 rebounds per game for the Mountain Lions. 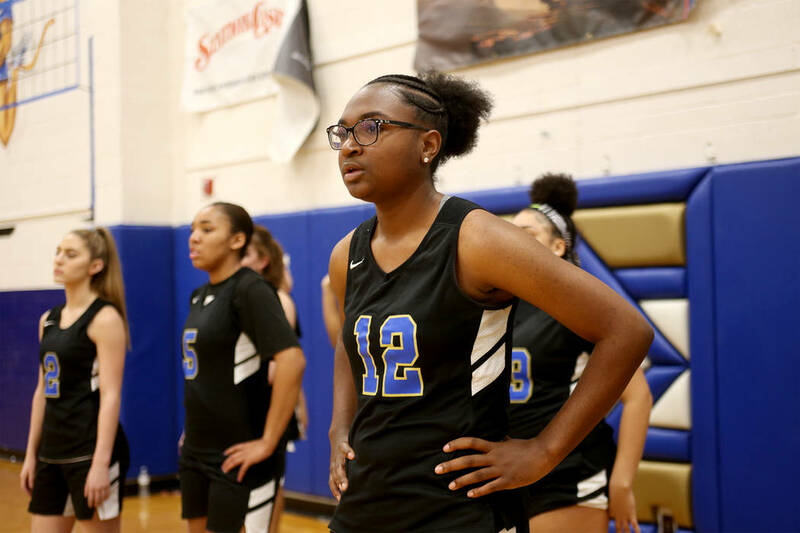 But a breakout summer helped her secure a scholarship to New Mexico State and has prepared her to stake a claim as one of the best players in the Las Vegas Valley. Harper started playing basketball in fifth grade at the urging of an uncle, who suggested she’d excel at the sport because of her size. 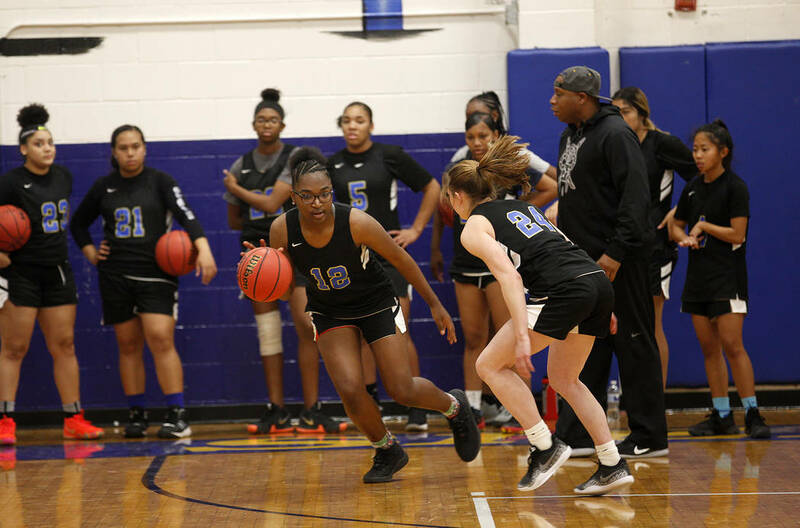 She “tried it just to try it,” she says,” but grew to enjoy playing by seventh grade and made a college scholarship her goal. 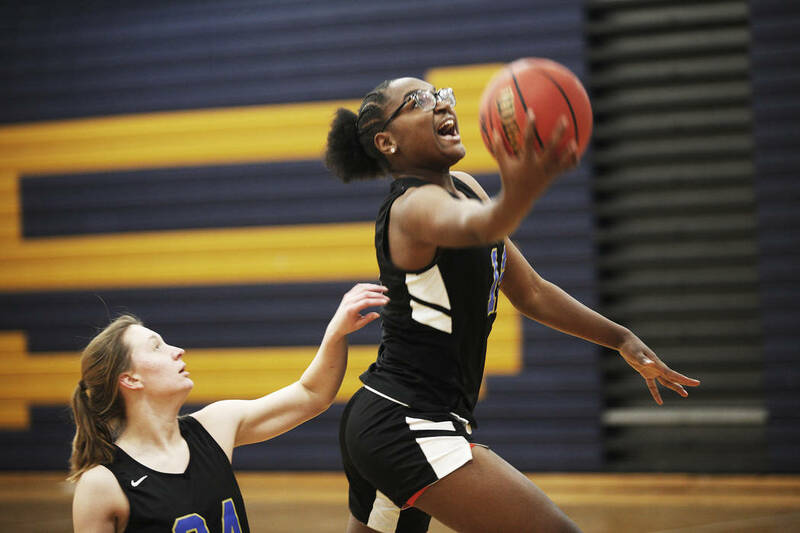 UNLV showed interest in the 6-foot-1-inch forward after her sophomore season, and UNR and San Francisco joined New Mexico State in her recruitment after her junior year. But her ACT score was too low to qualify, and she spent the summer studying and playing club basketball for the Vegas Heat. The studying paid off, and Harper earned a score in September that granted her admission to New Mexico State, to which she committed in August. She signed her national letter of intent to play for the Aggies earlier this month, fulfilling her dream and solidifying her future. In addition to an improved ACT score, Harper raised her grade-point average from a 2.3 to a 3.0, Harton said. She’s a voracious rebounder who overpowers opponents near the basket and a model teammate for the Mountain Lions, who hope to reach the postseason for the third time in the last four seasons. The Bishop Gorman and Coronado boys basketball teams will meet Thursday at 6 p.m. at Gorman. The game will be televised on ESPNU, and is set to feature six players with major Division I scholarship offers. 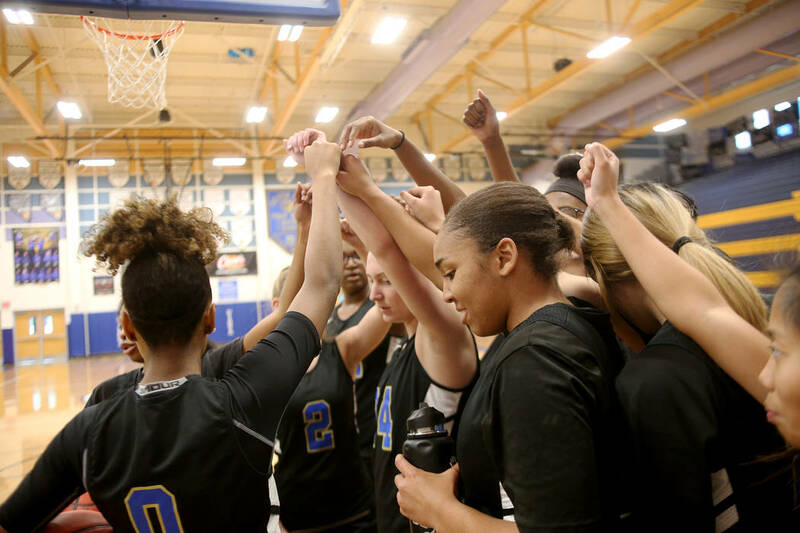 The Centennial girls basketball team checks in at No. 14 in the USA Today Super 25 Preseason Poll. The Bulldogs, who finished No. 8 last season, have won four consecutive Class 4A state championships. They open their season Dec. 11 against Cimarron-Memorial.